Halo represents a lot of firsts for today’s young gaming population. Halo: Combat Evolved was the first title developed by Microsoft Games Studios for the original Xbox and, for many, it was the first duel analog shooter played on a console. 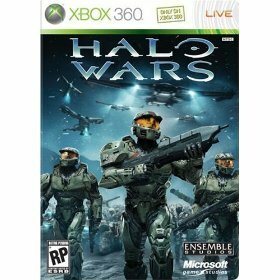 In this line of firsts, the Halo franchise now brings us the first Real Time Strategy (RTS) game developed exclusively for the Xbox 360 – Halo Wars. 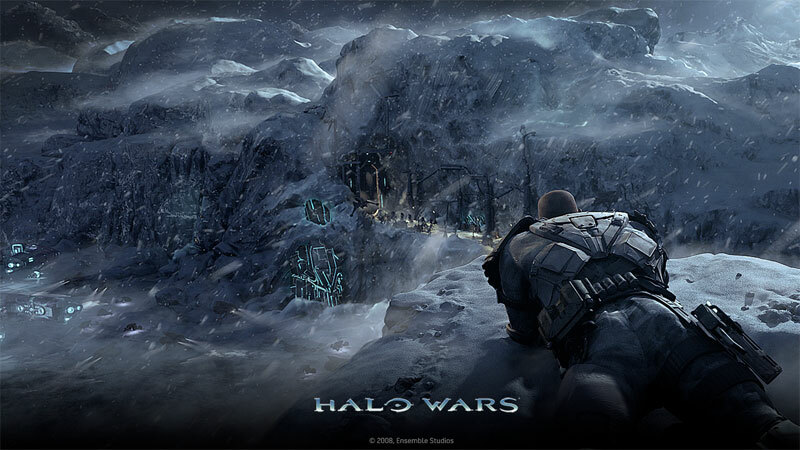 Halo Wars was developed by Ensemble Studios in association with Microsoft Games Studios exclusively for the Xbox 360. It is a Real Time Strategy game focused on events that took places in the years leading up to the Halo trilogy that we know. The effort by Ensemble to move Halo into an entirely new genre was largely a successful one. While the game play and presentation of Halo Wars were absolutely stellar, the game is lacking in a few major areas, including a clear narrative focus, which holds it back from being truly great. Today’s gamers, who may not be familiar with the RTS genre, should have absolutely no problem picking up their Xbox 360 controller and playing Halo Wars. Its controls are intuitive and the game play instantly makes you feel invited. For core fans of the RTS genre, however, Halo Wars may feel a little too action oriented. The pacing is constantly moving you forward with little time to explore the depth of the game’s upgrade system. I fall somewhere in between the fan lines. I have always enjoyed games like Warcraft and C&C, but have never been truly able to wrap my head around their complex management systems. For people like me, Halo Wars has been simplified just enough to be accessible without losing its integrity. The things that they did end up simplifying only seemed to add to the experience and pacing of the game. For example, resource gathering (a staple of the RTS genre) has been reduced to simply building and maintaining supply depots. This gives players the chance to focus the majority of their attention on the combat of the game. Supply Depots constantly replenish your resources and can be upgraded to work even more efficiently. Quickly moving the pace, in this manner, helps gamers to feel like they are truly playing a console game. The presentation of Halo Wars is excellent. For those familiar with the Halo franchise, Halo Wars will feel instantly comfortable. You will notice an extreme attention to detail with character animations and specific unit types unique to the franchise. Halo Wars offers beautiful CG cut scenes in the vain of Warcraft and Dawn of War, and the voice work is on par with the best of this generation. Something that really stood out to me was the gorgeous color pallet of the in-game action. It is stylized in a way that almost makes you feel like your watching a Pixar movie (a Pixar movie with Halo characters, of course). The biggest complaint that I had with Halo Wars, was its lack of a clear narrative focus. The game is paced well and the story is interesting for those seeking more Halo, but it really seems to trail off at the end. Of course I won’t spoil the ending, but I will say that it is abrupt and makes the story feel unfinished. There are fifteen missions in total but I would love to have maybe five more to really flesh out the stories ending. Perhaps some DLC down the road can remedy this with some added elements. Halo Wars was fun. The campaign may have been a bit short, but the online modes offer tons of replay ability and depth. I believe that it is a must have for any fan of the Halo franchise, or anyone who has been yearning to play a good RTS on their Xbox 360. Core RTS fans, however, may want to rent Halo Wars before committing, as they might find the controls and depth of game play a little lacking. You can order the standard or collector’s editions Halo Wars only for Xbox 360. Brilliant Review! The beginning had me gripped with emotion, and the end had me in tears! Brilliance!